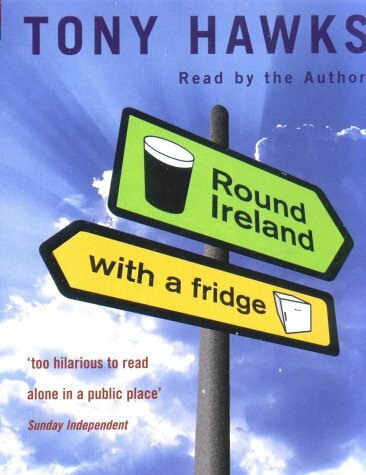 One of the funniest books of the past decade, "Round Ireland with a Fridge" by Tony Hawks, is serialised on BBC7 digital radio each day this week. My favourite bit is where some fellow drinkers in a pub persuade him to take the fridge surfing in episode 2 or 3. Hawks is feted all over Ireland as the Irish love the lunacy of the idea: "You're the idjut going round Ireland with a fridge - have a pint." Last edited by Stuart Sweeney on Sun Mar 26, 2006 7:05 am, edited 1 time in total. If you want to listen to the first episode (broadcast Monday 20 March), today, Sunday, is your last chance. And then the subsequent episodes disappear day by day on BBC7's weekly rota.